A Literary Odyssey: Book 28: Wuthering Heights. I feel like this is one of those books I should have read a long time ago. I mean, I love Austen and often the Bronte sisters and Austen seem to go hand in hand. However, I never read any Austen until I was in my third year of college, and up until this point, I have never read anything by any of the Bronte sisters. I am starting to think that my English degree is a joke. But, I am trying to remedy all of these problems by reading these books now, right? Back to Wuthering Heights. I'll be honest and say that I have a lot of reservations about this novel. Perhaps it might be that whenever I think about Wuthering Heights recently, I see a few images that have scarred my mind. That very small part of that is a book snob cringes whenever I see these covers. 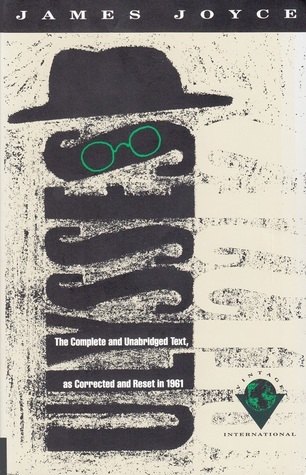 It is not because the covers are modernized, it is because of how they are being marketed. You see those small little "stickers" on each edition? They both say, "Bella & Edward's Favorite Book." THAT makes me cringe. I understand the Twilight phenomenon. I mean, I read all 4 books and while I enjoyed them, I would never, never refer to them as great literature. I see many big problems in them, the largest being Edward's insane level of stalkerish tendencies. So I have a really hard time with this Twilight themed brand of marketing. It makes me angry. In my opinion, you should want to read Wuthering Heights because of its storyline and history. Not because it is Bella and Edward's favorite book. Why do two fictional characters have such an influence on what you read? I also worry about how so many Twilight fans will interpret Wuthering Heights. In regards to writing style and ability, Bronte and Meyer are worlds apart. They come from different eras and backgrounds. I worry that fans of Twilight will read a few pages of Wuthering Heights and hate it outright, thinking, "This is NOT Twilight!!! I was LIED to!!" So yes, I go into reading Wuthering Heights with a lot of hesitation. Again, perhaps this is snobbish of me to be so worked up about new editions. After all, not every person who picks it up is doing it because of a book craze, but because they want to read good literature, like I do. But I have to wonder, will marketing it this way give it more fans or fewer? 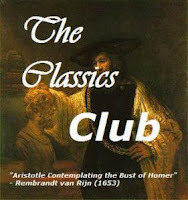 Is this a clever way of getting teenagers to read more classics and give them a shot? Or is it simply going to make more readers turn away from classic literature from being mismarketed to? I am curious to find out. 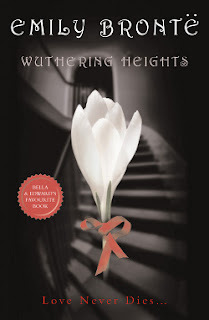 I read Wuthering Heights because of the constant mentions in Twilight. And boy am I glad I did. I now consider it one of my favorites. Haha, great rant! I'm actually a huge Austen fan, but I didn't hear of Wuthering Heights until reading Twilight, lol. I actually bought the Wuthering Heights with some other Austen books, but without Twilight, I might not have heard of it. (I'm ashamed to admit it, but it's true.) For some reason I couldn't get into Wuthering Heights though, so I'd say it's just a marketing strategy. Maybe they want to pass it off as encouraging the reading of classics, and while that might be true to some extent, I don't feel it's the main reason. If you don't like a book, you don't like it. I'm not a huge fan of the marketing scheme, and I don't find those covers to be very attractive or reflective of the book. LOL! I cringed when I saw several classics with that little label on them this winter. I haven't read Wuthering Heights yet (shame on me! ), but having a Twilight-fan-beckoning label doesn't really make me want to run out and pick it up, either! Good luck with this one...I won't influence you about my thoughts on it! I hate the Twilight marketing in regards to this book. But I guess anything goes to make a buck! Oh my word, that makes me cringe too. That is one of the most offensive marketing techniques I've seen in a while!